Posted March 27th, 2019 in Communications. Tagged: customer support, knowledge base. Businesses all over the world, especially small ones, always struggle with support software. With limited resources, it becomes difficult for them to manage different types of emails and they end up with more work than they can handle. The lack of proper support software has many negatives with companies not being able to cope up with the entire workload. This is one of the main reasons why there is so much demand for online tools like Groove. The Groove online tool is largely used by businesses to help their staff provide personalized customer support system most cost-effectively and efficiently possible. The tool is structured in such a manner that it does not have any features to confuse and entangle the user. This proves to be highly convenient for clients who are using it for the first time as they can navigate their way easily and are not lost in the nitty-gritty of the tool. Founded by Alex Turnbull, Groove offers customers a very different experience in handling customer support. 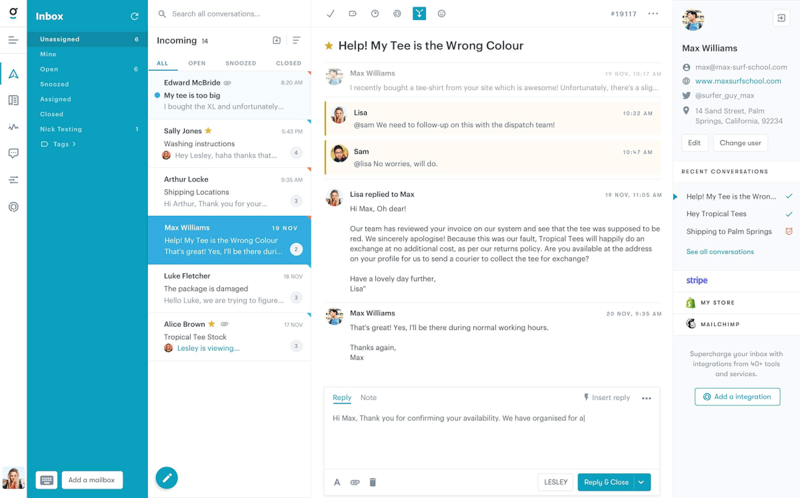 With some help from its main features like Groove’s Shared Inbox, Knowledge Base and Reports, offering personalized customer support has never been easier. At present, Groove works with more than 8,000 companies with the aim of creating high-quality client support teams. After securing additional support from Groove, companies can offer better services to present and prospective clients. At any given point of time, Groove online tool can be used to offer additional support to more than 50 million customers worldwide. This customer support software takes communication with clients to a better level as all their queries are catered to in good time. This ensures that salespeople can respond to all client requests in real time without leaving anyone out. It is mostly a sales empowering tool, targeting inbound and outbound sales groups in organizations. The various services provided by it can be categorized into email/calendar integration, campaign automation, sales analytics and productivity, account-based sales among others. Users can operate Groove for a 14-day free trial period following which they can decide on purchasing it or not. Groove products are highly flexible and can be adjusted according to the specific sales team requirements. With some help from Groove, each step of the sale process is undertaken smoothly without causing any inconvenience to the customer. The Groove online tool facilitates the growth of company revenue and improves sales by a large extent. This takes place because Groove’s assistance helps sales persons interact with clients better. 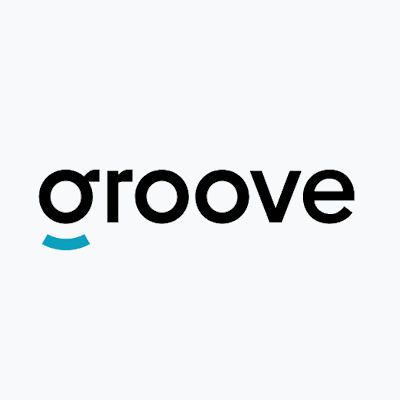 Groove appeals to many users because unlike the other customer support software available in the market, this one doesn’t have many procedures. Everything is simple and easy to understand, even for a first-time user. Customers make use of Groove’s account-based engagement data to make sure that they are interacting with clients in the best manner possible. Groove’s products also help users delegate accounts by star/label assignment, filtering, and advanced search options. First, we need to login into the Groove home page. After logging in, you can view many new messages. This will include all the Twitter and Facebook mentions. On the left of the page will be the inboxes and on the right will be the recent activity of the sales team. When you select any message, it will load immediately, and a reply will be ready instantly. Whenever the sales team receives a new support ticket, the Groove e-mail will immediately send a reply to that. This can also be done through the e-mail app. In the Groove reply, the user can include commands with @ symbols in the bottom half to close a support ticket, add a tag, or assign the work to someone else. After all the e-mails have been sent, the user can get a summary by looking at the Reports page. The time that was saved by using the Groove online tool for customer support will be shown. Finally, Groove will list out all the necessary statistics on the top of the page where the users can check out their average handle time, the ratings given by customers to their emails, a timeline of their support tickets and much more. The advantages and disadvantages of using the Groove online tool are discussed below. Timely sales management: A big advantage of using Groove is that it helps with timely campaign management. With all the campaigns in place, Groove aids with quality communication as well. Do away with the manual entry: Using Groove completely does away with the tiring job of manual data entry. All the email and calendar records are automatically updated to reduce the workload of support staff. Needs Regular Updates: A negative feedback received from users of Groove is that it does not update regularly. As the online tool is slow to update, it sometimes lags in the race with other customer support software. No Provision for Archives: Another disadvantage of using Groove is that there is no facility for archiving mail run through their mail server. This can sometimes cause problems for users. After going through the Groove online tool, one can surely say that the software is a big boon for customer support teams. The online tool works to reduce their burden to a large extent, thus helping companies cater to more clients and in this manner, increase productivity. We give Groove a thumbs up! 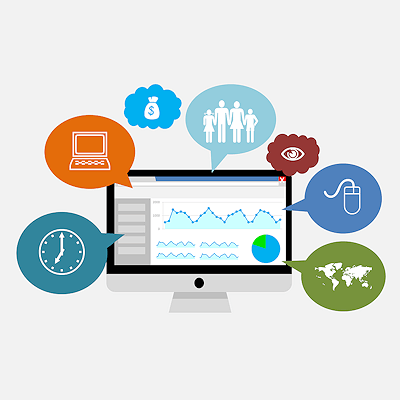 When people talk about web analytics, you immediately think of Google Analytics. But there is life beyond Google Analytics.